Your relationship with guilt should be a healthy one. 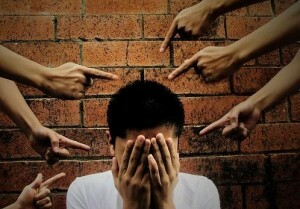 Guilt shouldn’t make you feel embarrassed or shameful. It should motivate you and correct you but not judge you. The greatest attribute about guilt is that it can be anticipated before any action needs to be taken. It urges you to think about the consequences of what you’re considering doing or will be saying. Not taking immediate reaction or retaliating does not mean that you’re a coward. An unhealthy relationship with guilt is like walking through a valley of eggshells and apologizing for every broken shell. It’ll make you so concerned for the wrong people around you that your own life will go un-lived. You should care for others but your thoughts and feeling matter also. Sometimes you’ll have to say no situations and people in life and you shouldn’t feel bad about that. 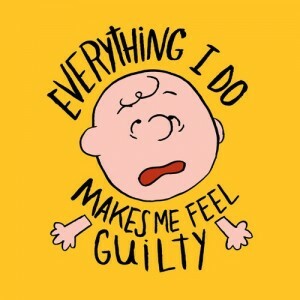 I work with people that struggle with their overbearing feelings of guilt and shame. Some hold back from making extremely important life decisions out of fear for guilt that has not even taken place. Anything that keeps you from advancing or moving forward in life is something you have to let go of, regardless of the guilt that may or may not take place for having done so. Hypnosis is great for treating guilt prone minds because it diminishes the negative thoughts in your brain and helps you to think more rationally. This is helpful because it will help you to assess whether or not the guilt you’re feeling is necessary. If it is not, you’ll learn to cast the thought away and if it is, you’ll learn to spend less time torturing yourself and more time correcting your error. What’s holding you back from making that final decision? What’s sitting so heavy in your heart that you cannot go about your daily life? Guilt doesn’t have to burden you, but if it does, come in for a session. I’d love teach you how to manage your guilt in a positive way. Bipolar disorder may be a mysterious mental illness, but it isn’t shy. WebMD.com states that 5.7 million American adults are affected by this mental illness a year. Celebrities like Catherine Zeta-Jones and Demi Lovato have openly discussed both their struggle and the help they received for their bipolar disorder. Other celebrities like Kurt Cobain and Virginia Wolf suffered in silence until they committed suicide. Bipolar disorder, also known as manic depression, is a mental illness associated with extreme mood swings. The emotional ups and downs of a bipolar episode are very harsh in comparison to normal feelings of happiness or sadness. A bipolar person will experience euphoric highs and devastating lows; these can last weeks or for years. 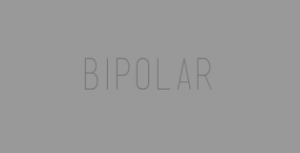 To learn about the several types of Bipolar Disorder, click here. Treatment for bipolar disorder varies from person to person. Most people fighting their mental illness use a combination of prescribed medication and counseling to help level out their moods. Patients who adhere to their prescribed medication, but are interested in a different form of counseling, will find hypnotherapy as a great substitute. Hypnosis puts the body and mind in a state of relaxation that will aid in controlling the mood swings that come and go. This state creates stability for thoughts and feeling and helps to make the “ups” and “downs” of bipolar disorder less pronounced. If you’ve been diagnosed with any form of manic depression, hypnotherapy can help. Suggestions planted while in a hypnotic trance will keep your mind from venturing into extreme emotions. Your mood swings do not have to dictate your life. With hypnosis you can live a happy, healthy, and successful life. Before discussing divorce with your spouse, consider hypnotherapy as an alternative to couples counseling. 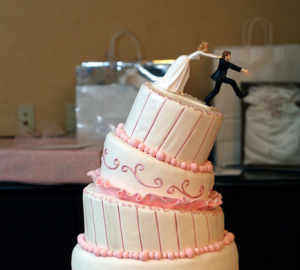 Marriages experience rough patches, or two, or four while on their way to marital bliss. The key is to not give up at the first or second or fourth sign of trouble. There may be tension and arguments filing your home right now, but with patience and proper guidance, couples can rediscover the the love that lead you down the aisle on your wedding day. It rebuilds confidence and trust. Your husband may have forgotten your 5th anniversary and he may have forgotten to pick up the milk on the way home and thus, in a state of anger, you emasculated him with harsh words. As a result, you’ve developed an inability to believe your spouse can be trusted with the simplest tasks and in return, your partner starts to develop animosity and stress every time he or she is asked to do something. If this confidence and trust isn’t restored, it will affect the way you view your spouses compatibility and capability in loving you and providing for you. It strengthens communication. They say communication is key. A marriage with open lines of communication will be a successful one. Couples need to be open to expressing the things that hurt, the things that make them happy and the things they value differently. Not discussing these things will keep individuals in a place of perpetual heartache, crippled by harboring their resentments and anger inside. Your spouse cannot be held accountable for the things you fail to address. 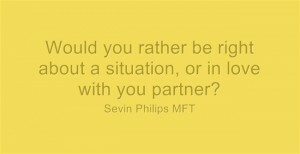 Furthermore, are you really angry at your partner or at yourself? Is the frustration you’re projecting meant for you for not measuring up or feeling inadequate? It will help you rediscover the reason why you fell in love in the first place. Regardless of how you may feel about your husband or wife in this current moment, at one time you loved them with a blind eye. You loved them enough to overlook their flaws and fell in love with them for who you became when you were with them. Somewhere inside, that love still exists. Love is a verb; it is an action; it is a choice we make every morning. Hypnotherapy will help you exercise that choice with full confidence in good spirits. The movie Stardust has this great line, “So, yes, I know that love is unconditional. But I also know that it can also be unpredictable, unexpected, uncontrollable, unbearable and, well, strangely easy to mistaken for loathing.” If you feel like your spouse has failed you, the loathing you’re experiencing may be disappointment. You may feel like they’re always falling short of loving you the way you expect to be loved. We have to realize that just because our needs are not being met the way we want them to be met, that does not mean that your partner is not trying his or her best. I’m here to help you discover what you want and to help you express the wants in positive ways to further strengthen your marriage. Life is tough. Add forced holiday cheer and all of life’s complexities suddenly multiply. How can we be thankful when we’re hurting? Here’s some advice. First, true happiness is the reflection of a mind thinking outside of the box. People who condition their mind to accept their failures and achievements as personal experiences and growth opportunities are happier than those who compare themselves to others. Don’t spend this holiday season trying to measure up. Second, do more giving than receiving. Somewhere there’s a mother or father who will have to cancel their holiday plans to keep dinner on the table. If you volunteer or donate to a cause, you’ll do just as much good for yourself as for the people you’re helping. Not only will their spirits will be uplifted, but so will yours! Giving has been proven to affect the giver just as much as the receiver. And finally, do something special with people who really love you. Without a doubt there are tensions between family members but the holidays stand as a reminder that we should put our differences aside and come together to simply share a warm meal and quality time together. Missing out on this will not be a loss of a family dinner but rather a loss of an opportunity you will never get back. There should be celebrations for overcoming, advancing, and surviving another year. I want to personally wish each and every one of my clients and my readers a very warm and happy Thanksgiving! Death is such an inevitable part a life. We shouldn’t be shocked when it comes for us, yet we are. 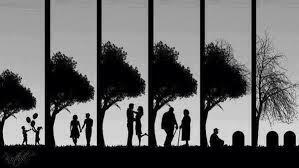 The unfortunate truth is, everyone will one day lose someone, or something they love. Coping with the loss of a loved one isn’t easy, but it is necessary. Not everyone will take solace in knowing that their loved one is finally out of pain or that they are no longer emotionally suffering. But some will. Those who do will still grieve and mourn the deceased, but they will also be comforted by what they believe comes after death. There is resilience in having a system of faith. No matter your belief, grief is a common season that people deal with. As mentioned in the last blog post, there is no right or wrong way to mourn. You might experience denial, anger, confusion, sadness, and a lack of enthusiasm. That’s okay. Given the nature of the vital role your loved one played in your life, their passing will greatly effect you. Give yourself time to get re-adjusted to your life. Feeling like you’re on an emotional rollercoaster is completely normal. One day you might feel okay and the next day you’ll be devastated all over again. This will fade over time. If it doesn’t, you might be suffering from complicated grief. Mayoclinic.org defines complicated grief as such: For some people, feelings of loss are debilitating and don’t improve even after time passes. This is known as complicated grief, sometimes called persistent complex bereavement disorder. In complicated grief, painful emotions are so long lasting and severe that you have trouble accepting the loss and resuming your own life. For a list of symptoms, click here. If you believe you are suffering from complicated grief or you’re just having a hard time dealing with your loss, speaking with a life coach can be just what you need. Together we will sort through your emotions, redirect your thinking, and get your life back on track. You will never really get over losing someone you love, but with help, you can address your loss from a healthy perspective.